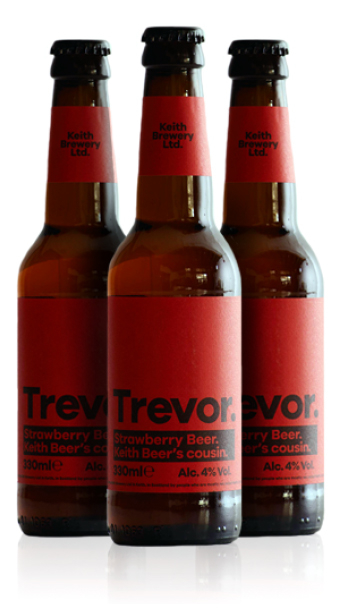 Trevor - Keith Brewery Ltd.
A deliciously light beer blended with pure, fresh strawberry for a zesty, refreshing taste of summer. The aroma of warm meadow meets the smell of homemade fruit jam in our auntie’s B&B by the way. Ingredients: Water, Barley, Wheat, Strawberries, Hops and Yeast.